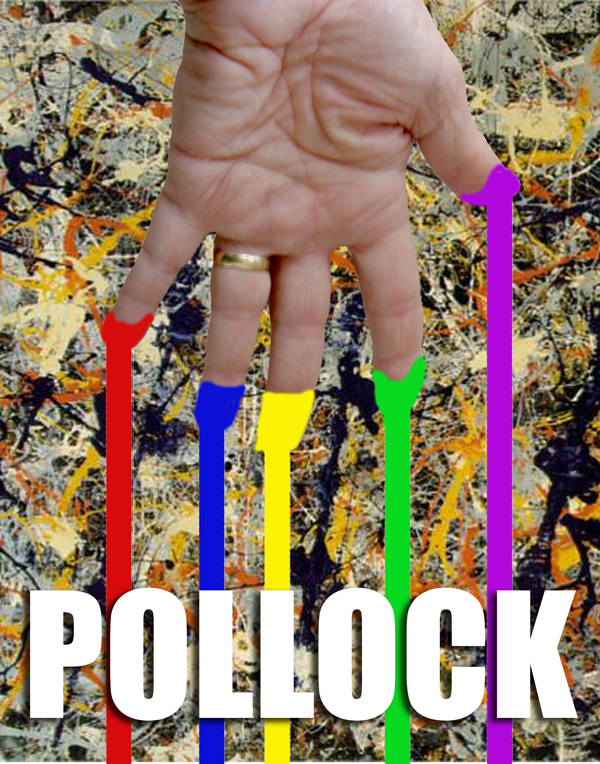 Prompted by my wife, Carole’s Pollock-inspired fibre art project, I took a quick trip down memory lane and returned to doing some poster designing. It was a quick project, and I would have done more with the paint drips were it aimed for something commercial, but I had huge fun making this. My wife, Carole, has created a fibre art piece inspired by the work of Jackson Pollock. There’s a neat little high-speed video (seems appropriate when it comes to action painting) of her process. I recently took up the challenge of a Jackson Pollock inspired piece of work. At first I was not completely taken with the idea as his work is huge, all over the place or so I thought, but on further investigation of this artist I was hooked. The piece I made was inspired by Pollock’s Moon Woman, especially since I have just finished a moon woman felted piece. My third blog posting for Amazing Stories magazine is on the subject of monsters. I reflect on their nature, how they are represented in books and films and I argue that there is a dearth of truly original creatures. I hope you’ll add your thoughts to the discussion – and, even better, beg to differ….I’d be delighted to be proven wrong and would love a flood of monsters I’ve never seen before. Again, hope you will consider adding your thoughts to the discussion on the Amazing Stories page. Go on, prove me wrong!